It’s been said more than once: cruisers and beer, they’re a match made in heaven. And we’ve seen some attempts in the past to bring the two together. The most recent example was Cult Bikes’ one-off Duffman Cruiser. Granted, Duff beer is/was a fictional beer (word on the street is that there is now a licensed version of Duff Beer available in Chile). Prior to that, Greg Mundy of Fireman’s Texas Cruzers teamed up with Brad Farbstein at Real Ale Brewing to create Fireman’s #4 Blonde. And as a form of cross-promotion, Greg and Fireman then offered the Brewery Bike inspired by the beer. Now it looks like this pairing of Beer and Cruisers is hitting the mainstream. National brand, Pabst Blue Ribbon (PBR) is partnering with SE Bikes for The PBR x OM Flyer. 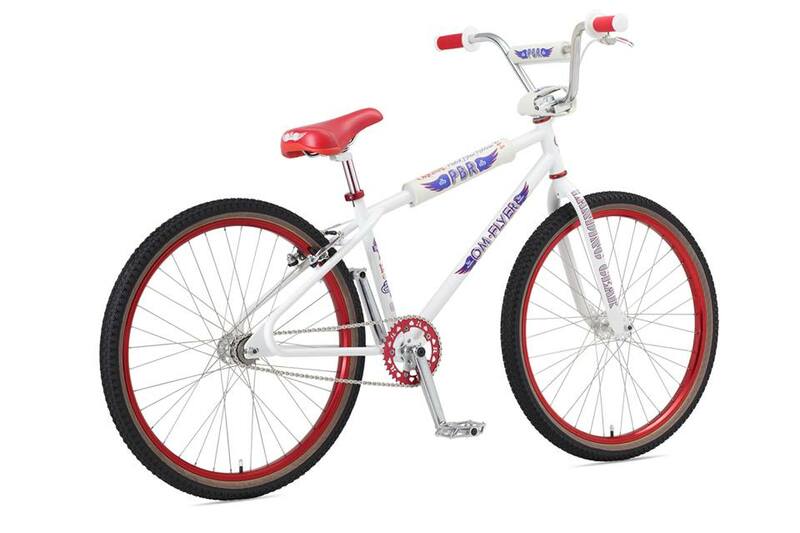 Pabst approached SE to create a bike in their colorway (white, red, and blue)…however, they wanted it yesterday…so with a couple tweaks to the existing 2015 OM Flyer (new decals and pads) the PBR X OM Flyer was conceived. These won’t be available to the public. Only 83 of these bikes were created, and will be used exclusively by the Pabst Blue Ribbon marketing team. They will be riding them at sports events and other promo activities. 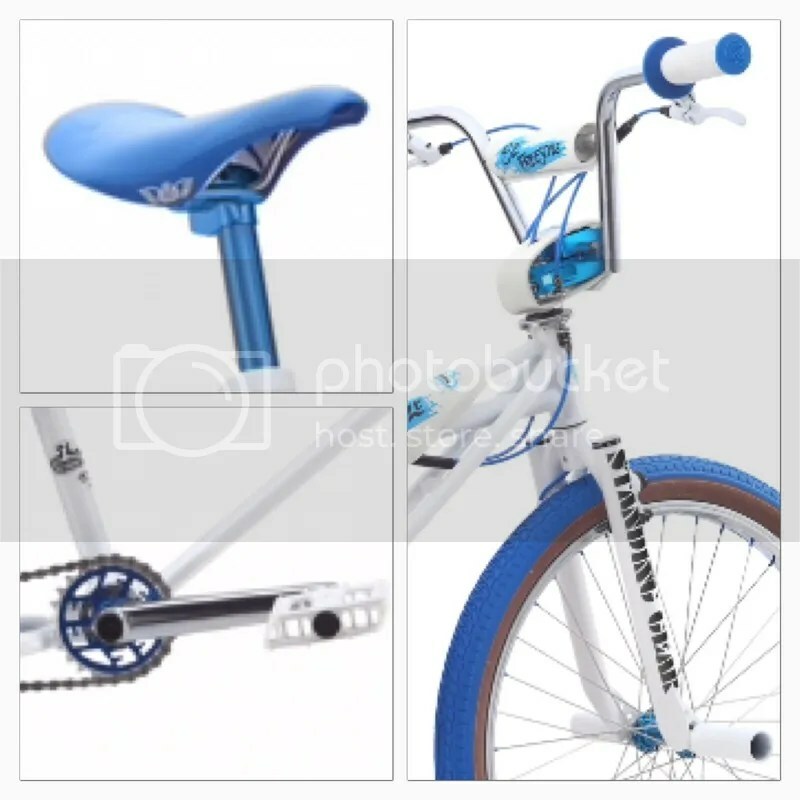 I noticed on the pbr_miami instagram feed…where they also have the bike featured…they say in the caption that “One lucky person will win this bad boy…stay tuned for info“….Sounds like keeping a watch on their insta feed might be a good idea…snagging one of these would be quite the catch! Now, I don’t know about you…but I need a cold one. Maybe it’s not just the summer of BMX movies…maybe it’s the summer of bicycle movies, full stop. Case in point, the recent Toronto showing of Marinoni: The Fire in the Frame. Granted, not a BMX movie by any stretch of the definition, it certainly was one of the most entertaining — and inspiring — documentaries I have seen in a long time. At times a cranky sourpuss, other times an affable older gentleman…there is no mistaking Marinoni’s passion. When it’s revealed that he will be riding a frame he welded for Canadian cycling legend Jocelyn Lovell in the late 70s — a rider who’s career was cut tragically short when he was hit in an automobile accident — it’s hard not to get teary-eyed. 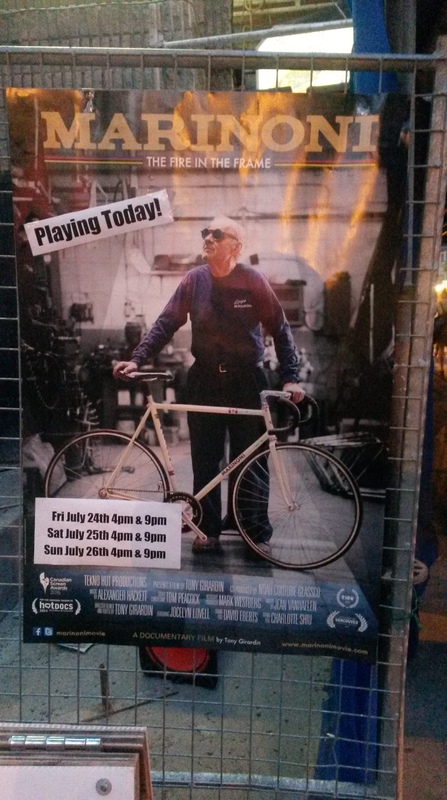 If you’re a rider, into bikes in general, or simply want to see someone who has kept his fire alive well into his 70s…this is a movie you should check out if you get the opportunity. Scot “The OM” Breithaupt’s signature bike is set to take up its rightful place again in the SE Bikes 2016 lineup. 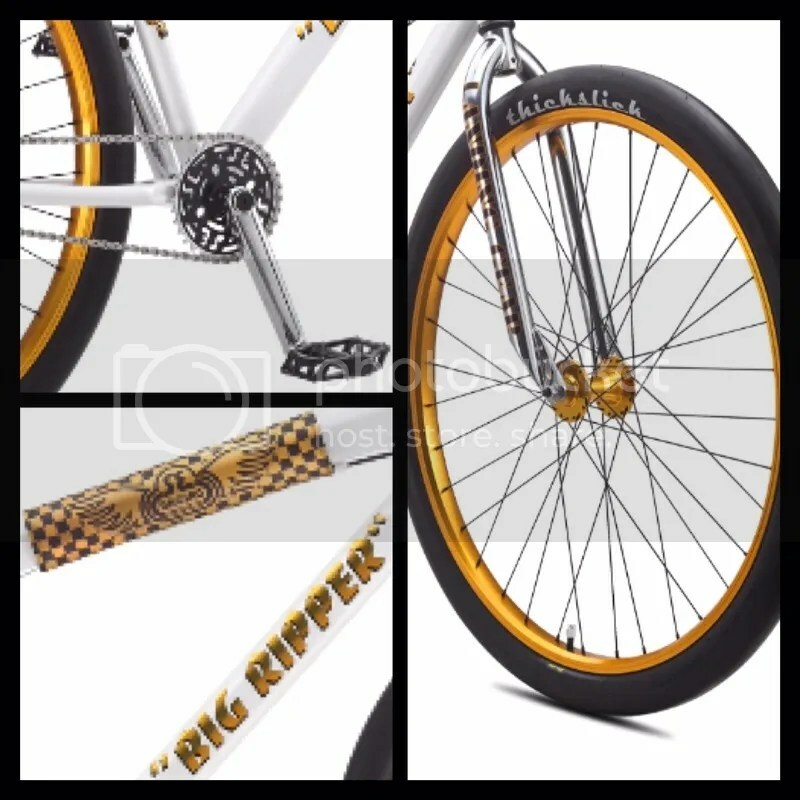 Featuring an eye-popping yellow looptail frame, retro cruiser bars and old-school checkered pads this bike looks as “back in the day” as its classic Mushroom grips. Given the OM’s tragic passing, it’s good to see the OM Flyer refreshed and ready to go for another year. I’m sure the OM’s smiling somewhere, thinking about the good times riders are going to have on the bike that still bears his name…so many years after the start of it all. And with the current nostalgia for old school SE products and OM-related gear, this will no doubt be a hot seller. Don’t sleep on this one. As mentioned in the previous post, Sneak Peek: select 2016 SE Cruisers, the new lineup of 2016 SE cruisers is being revealed in bits and pieces to generate excitement for the new line. The BMX Museum thread on the topic has reached 12 pages already and I see no signs of that stopping any time soon. I’ve been peeking at it now and again and that’s where I saw the following teaser shots of even more 2016 cruisers. First off, the Floval Flyer. If you remember the CR test on the Floval Flyer (from a few years back) you know how much of a fan I am of this bike. Again, SE upped the ante with even more polished aluminum/chrome to make this bike as shiny as it is fast. Next up, the 24″ Quadangle Freestyle. Jumping off from last year’s version, SE has adopted a new white and blue colorway which is actually more evocative of the freestyle-y SEs of the 80s. Think back to that iconic Freestylin’ cover of Todd Anderson jumping over a car of SE dudes or even Rockabilly Jay’s sweet custom Quadangle cruiser…this colorway is on point. This year, it bumps up the old school factor with a checkered padset and a generous helping of chrome and gold anno accents. If you were around during “the golden days of BMX”, you know this big boy hits all the right notes. I’m definitely digging the updates and new colorways of the SE lineup. Tip of the hat to Todd Lyons and the SE folks for the great work, especially for the retro line! 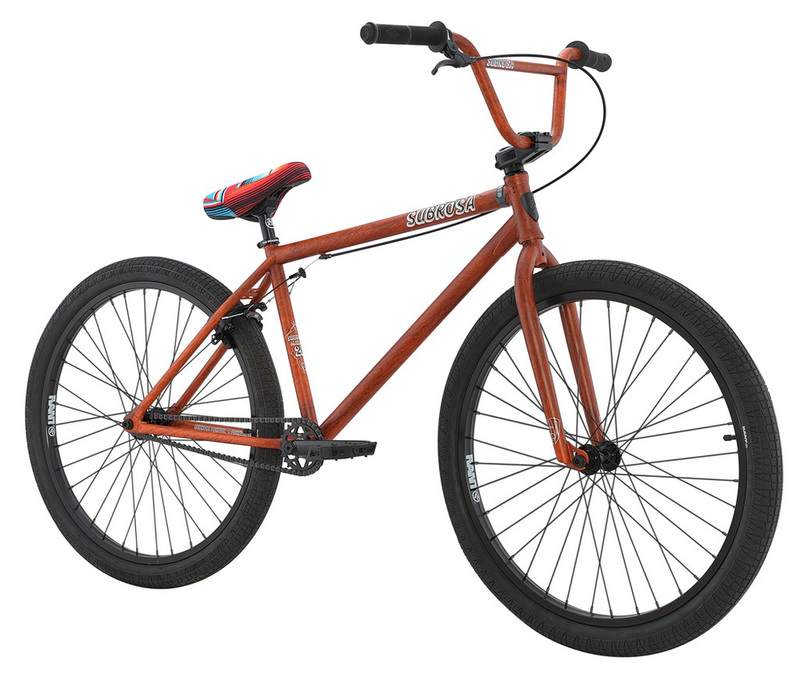 Subrosa has updated the 26″ Malum for 2016 with a cool new look. Originally introduced last year for their 2015 lineup, this year’s version has a unique look with a “salvaged rat rod rust paint” finish (that’s smooth to the touch) and colorful Baja seat. It’s not to shabby in the parts department either. The 26″ Malum comes complete with sealed female hubs, double-wall rims and a Shadow Interlock V2 chain. 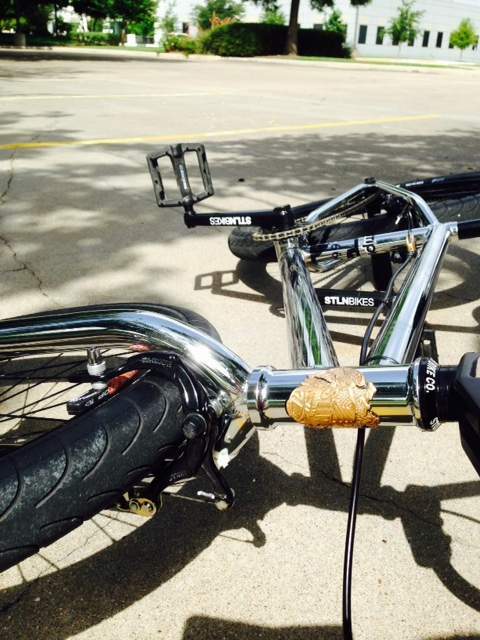 Subrosa also recently dropped a video that highlights the specs of the new 26″ Malum. 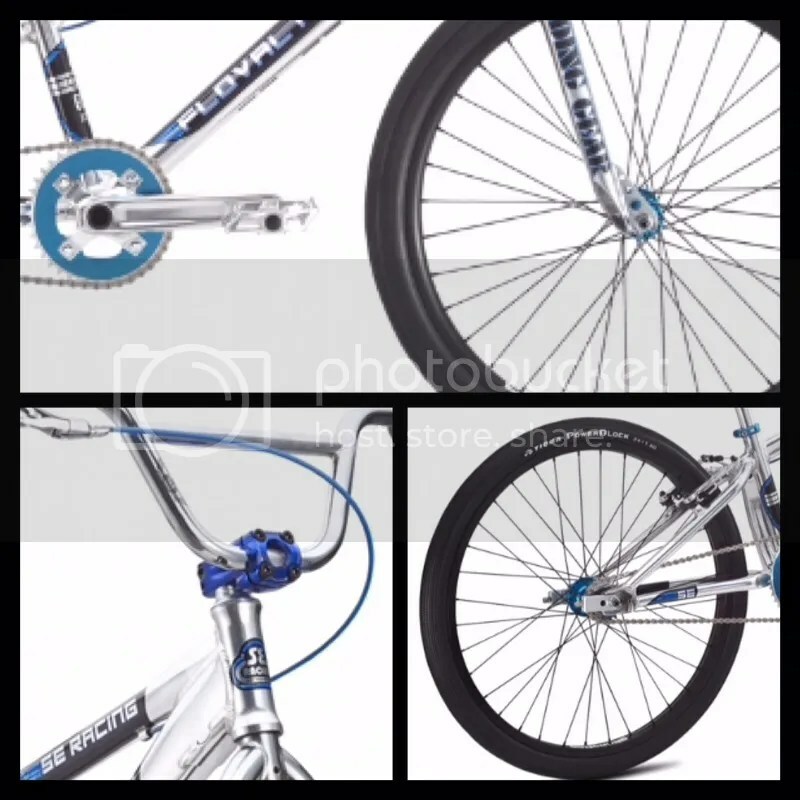 Cranks – Rant Chromoly 8 Spline 3-piece. The complete bike weighs in at 30.5 lbs…not a featherweight for sure but definitely a ride that will stand up to any abuse you might throw at it. Go bug your Subrosa dealer for availability and pricing.